Welcome to TeleRestore. The TeleRestore platform is a solution that lets you quickly restore and control communications during outages caused by natural disaster, man-made disruption, or network glitches. Get a FREE 30 Day online trial system customized for YOU! Looking forward to meeting you to preview the new VoiceShield Mobile App. 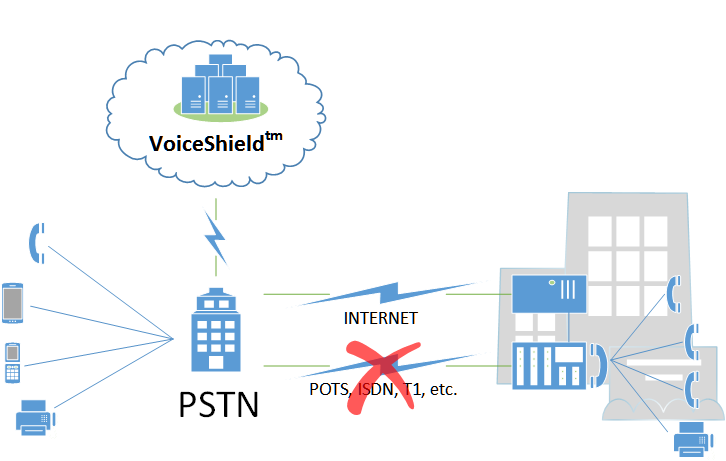 VoiceShield Mobile, in conjunction with VoiceShield PRI or VoiceShield Satellite, enables BYOD smartphones, connected to your WiFi network, to make and receive calls and texts when cellular service fails or is congested . VoiceShield mobile turns every smartphone into a satellite connected phone See our news page for more details.